That dreaded weekend is here: the time when we all lose an hour of our lives, and most importantly an hour of sleep! 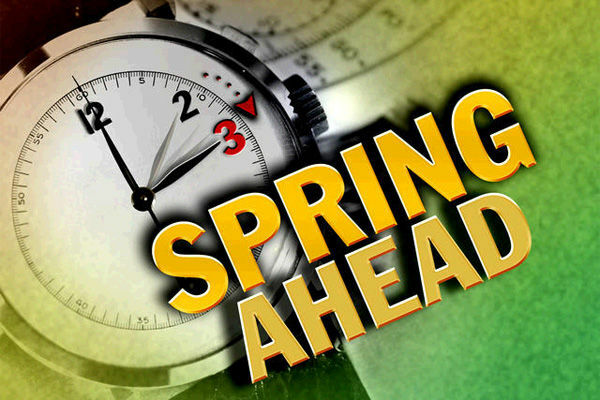 Daylight Saving Time begins tonight at 2:00 AM, and we need to "spring forward" one hour. Daylight Saving Time has been in use in various places throughout history. Ancient civilizations had an informal version of this by using different schedules depending on the sun's schedule. Ben Franklin humorously suggested that the citizens of Paris could save money on candles by getting out of bed earlier in the morning to make use of the sun's natural light. Saving was the main motivation for the official adoption of Daylight Saving Time (as the name suggests). During World War I, Germany first implemented the clock change to save fuel for the war effort. Other countries soon followed, including the United States in 1918. It did not prove very popular and was repealed just seven months later. A few cities (including New York and Boston) continued to use it - can you imagine the confusion caused by that? - until President Franklin D. Roosevelt reinstituted DST in 1942 for savings during World War II. March 7 message from Christ Church on Vimeo.